Did you know that evergreen trees require as much care as any other tree variety? Do you subsequently feel that your evergreens are often neglected? If your answer is yes and you live anywhere in or near the Newmarket or Aurora areas, you have come to the right place! Sequoia TreeScape is a dedicated yet affordable tree care service, and we will be happy to help care for the evergreen trees on your property. What defines an Evergreen Tree? Evergreen trees are plants that have leaves year round, making them always green. The term “evergreen” is often associated with pine trees, although there are many different varieties of evergreens, including spruce, fir, cedar, and many more. These trees can adapt to many different temperatures, including extreme highs and lows, as well as low-nutrient environments. Despite their natural adaptability to a variety of conditions and climates, however, evergreen trees require specialized care to promote proper growth and overall health. 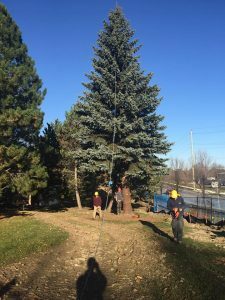 Evergreens can grow to a height anywhere from 10 to 80 feet tall, which means that pruning should generally be done by trained and experienced tree care experts. If you are wondering how to prune evergreen trees, an expert can tell you that it is important to remove dead, broken or diseased branches periodically. Sometimes, your tree may lose its leader (the topmost branch). In this cases, it is important to tie a nearby branch in a vertical position to encourage it to become the new leader and trim any surrounding branches to discourage “competition.” Pruning evergreens should be done in late winter or late summer, before or after the year’s new growth occurs. 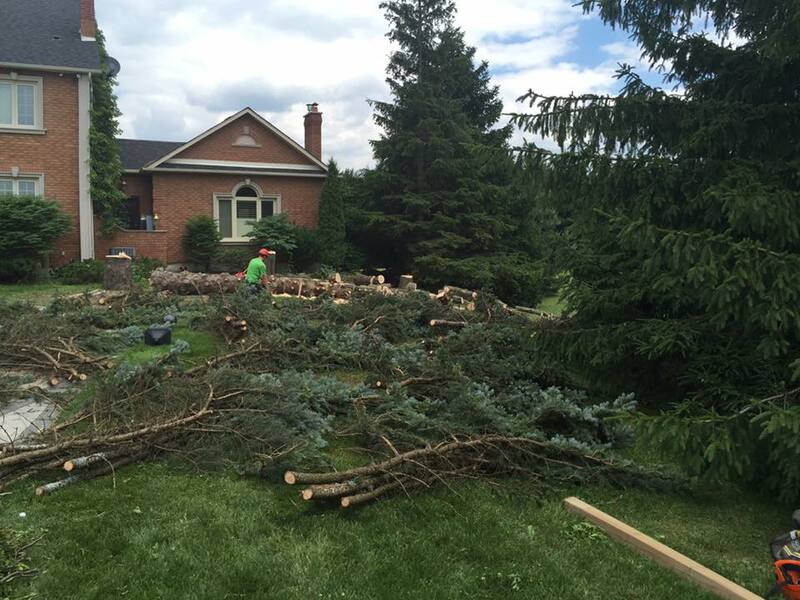 If you are a homeowner in Newmarket, Aurora or York Region and require assistance with caring for your evergreens, contact Sequoia TreeScape today! You can reach us by phone at (416) 770-8733or through our online contact form for further details and a free, no-obligation estimate.